Just like icing on the cake, so is beard on a man’s face. Beard is considered a sign of maturity and beauty but only if taken cared off through proper grooming routine and discipline. Failure of proper beard conditioning could lead to a repulsive shaggy image, and even a beads skin disease named Folliculitis that makes the skin develop itchy inflammations. Most men do not know the appropriate beard inch to start shaping and trimming. Most men do not achieve the proper beard look by cutting their beard too early. This will require months of waiting before the beard reaches the appropriate trimming height. According to studies, beard trimming and shaping is effective after reaching an inch or one inch and a half height. The beard hair should be washed with different specific shampoo just as the head hair and armpit hair. Most guys tend to use the regular body deodorants to clean their beards. Some soap tends to make the beard and underneath skin become stiff and dry leading to the itchy burning sensation. Specific beard shampoos are recommended as they possess a moisturizing function hence preventing the hair from being fragile. 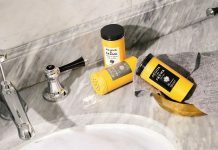 An efficient beard conditioner strengthens your beard and repairs the broken beard and skin beneath restoring your beard to favor your specific activity or functions. Beard conditioners different with the type of ingredients used to make them. They come in a variety of scents that you can quickly choose from No matter the beard condition you wear, make sure it has no allergic reactions to your skin nor does it clog your skin pores. Beard hair grows at different rates about the facial hair. The purpose of beard streaming is to ensure a uniform looking edge and prevents development of hair knots and tangles. Trimming hair that grows closer to the mouth averts food and drinks getting into direct contact with the beard hence easy eating. Trimming also ensures split and stray hairs are removed from a beautiful, healthy-looking beard. Starting with a well-sized mirror that shows your entire facial profile will enable efficient trimming, shampoo, and applying beard conditioners. A pair of scissors, a comb, and electric trimmer is mostly used for trimming the beard. A unique beard brush should also be used to brush the beard in the desired direction. Gentle beard brushing removes any solid matter that might have stuck in the beard and hair pores. These routines range from merely wiping your mouth timely while eating or using a napkin to prevent food particles from getting in the beard to taking small food bites for easily immersing whole food in the mouth. A healthy beard is highly dependent on one’s diet. You should eat a healthy balanced diet to enable efficient growth and strong and healthy under skin hair that prevents the development of beard inflammations and itch. To sum it up, beard conditioning is a healthy lifestyle that enhances proper beard growth giving the owner a good looking facial appearance. Beard conditioning is achievable through letting it grow to proper height, shampooing the beard, application of beard conditioning products, trimming it properly, investing in appropriate tools, and last but not least,adopting simple health routines. Previous articleShall You Let Strangers To Meet Your Dog?